Learning the history of work and the history of our unions here in Rochester. Educating ourselves, our students and our community about our work and our unions today. RochesterLabor.org is sponsored by the Ronald G. Pettengill Labor Education Fund. Educational events include the the annual Labor Film Series at the George Eastman House, the Labor Lyceum and occasional events such as conferences, workshops, and concerts. 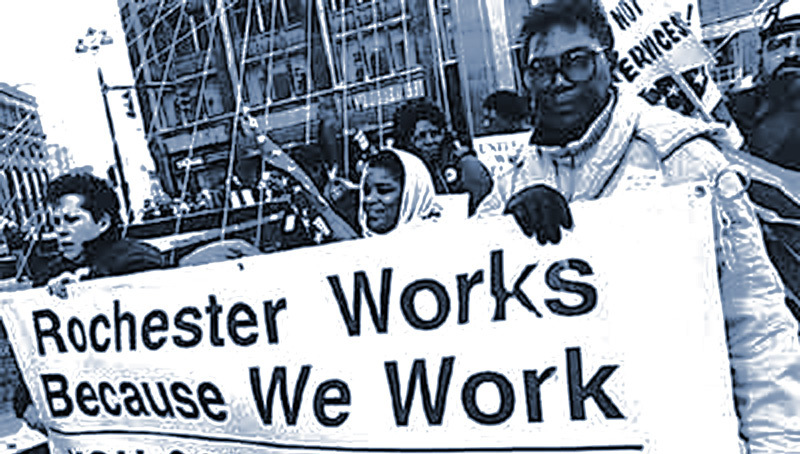 Rochester Labor History eMAP is an on-line resource on Rochester workers and their unions, showing in both text and image where they worked, held their meetings, conducted their struggles, and were commemorated. Our Community of Workers Coloring Book with 31 drawings, introduces young people to workers doing a wide range of jobs described in accompanying captions. A companion workbook to the Coloring Book, with work-related exercises for students from pre-kindergarten to middle school. Copyright © 2003-2019 All rights reserved. 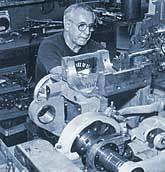 This website is sponsored by the Ronald G. Pettengill Labor Education Fund.